WaterClean FilterBales® are a unique patented 7 stage above ground sediment filter device that effectively retain sediment runoff and remove chemical, nutrient and biological contaminants. WaterClean FilterBales® are a legitimate BMP for “above surface” civil engineering and construction applications. Like the Catch Basin Inserts they also contain a cartridge with Reactive Filter Media™. 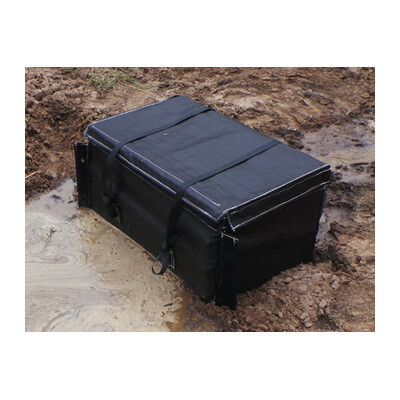 The cellular high density recycled plastic frame allows water to pass through in a motion that oxygenates and re-invigorates the water suitable for higher flow rates and higher retention time (1 in 10 year, 48 hour and 4 inch storm event). These can be used during construction phases or in strategic high pollutant loading sites. They have a replaceable cartridge system.